I have a thins for festive pajamas. I can't seem to stop buying them. So today I just wanted to share where some of mine are from since I have been getting so many questions on Instagram about where they all are from. Most are really inexpensive from target and Old Navy. If you follow along on Instagram then you know we were in the hospital on Sunday because I was having contractions. They ended up keeping us overnight because they couldn't get them to stop. They gave me two bags of fluid and some medicine to stop them. It slowed them down but didn't make them stop completely. They were pretty close together when we got there, about every two minutes. Anyway we are home now. I am just taking it easy and drinking lots of water. I am 36 weeks today so if it happens again they won't stop it and they say the baby should be fine. She is already close to 6 pounds! We are so excited. Now we just wait. Waiting is the worst! I am linking some more of my favorite pajamas below! Thanks for reading! Awww!!! They look so comfortable and cute!! Festive jammies are just the best! SO warm and comfy. I just adore Christmas pjs too! I've bought a handful from Old Navy this year and can't stop wearing them!! Love the PJs! And how cute are those socks? Love all your PJs! You look so cute! Seriously you have to have the most perfect pregnancy bump! 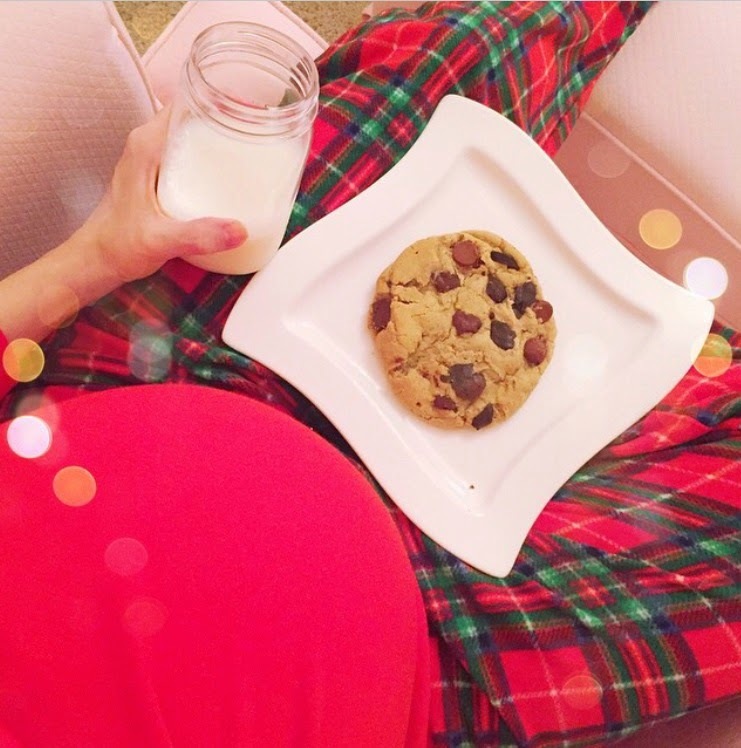 You must share your exercise and diet tips while pregnant! You have the absolute cutest pajamas!! 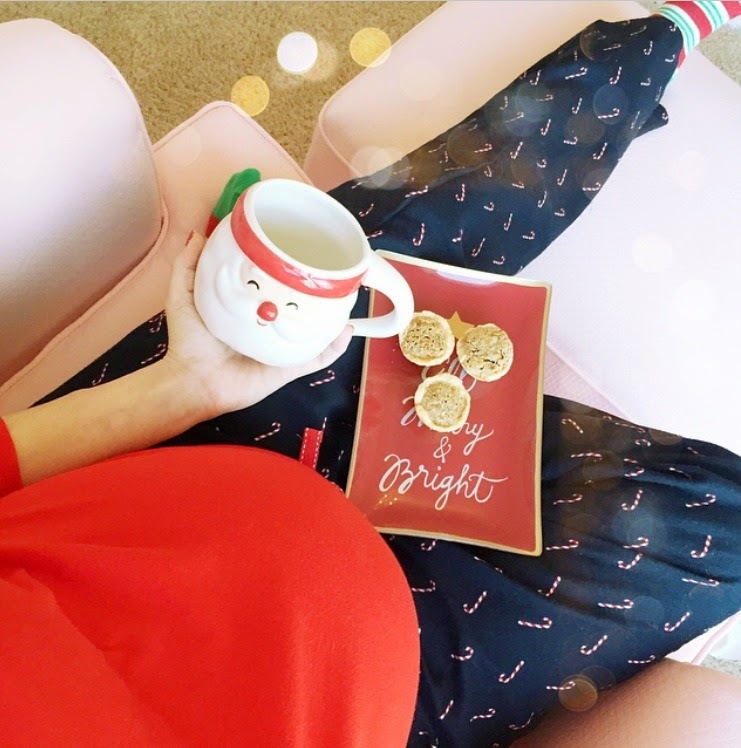 I am in love with all these festive PJs! I definitely need to head to Target and get me some. So cute. These are definitely the cutest PJs! Love the first one very very much. I want! Thanks for linking to the Santa mug as well. Picked up 4 yesterday and they are adorable!!! 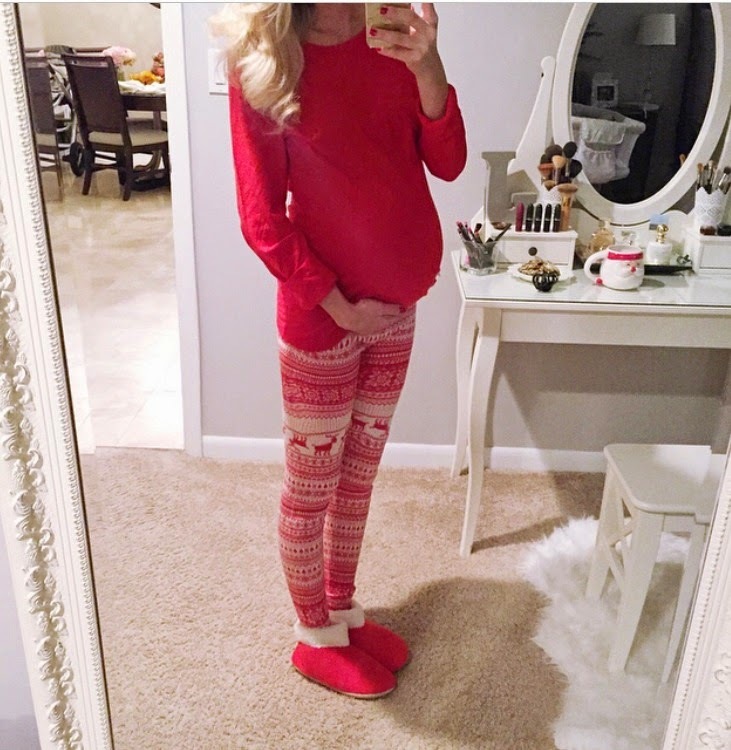 you officially have the cutest baby bump in the world. Do you mind sharing what size you got in the second PJ set from Target? The red top and plaid bottoms. I'm also pregnant and similar build to you, wasn't sure since they can't be tried on in store. Thanks!! Such cute, festive pictures! Love it! !